If you’ve just started a new business, congratulations on taking the first big step towards financial freedom. However, getting the finances to get that business off the ground is not the hard part. Running it is. First and foremost, you need a good security system for your physical premises and online data. Business security measures deter and prevent crime, protecting your firm from losses. Hire security guards to monitor the movement of people in and out of your business premises and prevent unauthorized personnel from going where they are not supposed to. The physical presence of guards instills a sense of security for both customers and employees. When your clients and workers feel safe in your firm premises, they can comfortably conduct their business. The guards can also help customers find what they are looking for. Sometimes it’s not easy for a first-time buyer to know his or her way around your store. In such a scenario, the guard assists the customer in finding the right area. A video surveillance system continuously records videos of an area and sends them to the control center, which in most instances is the security room. The surveillance system gives a live footage of the things happening on the ground. When installed, it can help you monitor your business premises more efficiently. For example, you don’t need to leave your office to go check who is at the gate. The video surveillance system allows you to use the screen in the security office to do that. Business security measures deter and prevent crime; in fact, it has been shown that security systems which provide alarms, strobe lights, and even personalized audible announcements have been shown to halt criminal activity in 93% of intrusions. Not all company records will be stored in file cabinets. Some will be kept on your computer or the firm’s server or cloud system. For such scenarios, encourage your employees to use strong passwords and two-step verification to deter hackers from accessing files remotely. Make sure that you update your operating system with the latest antivirus to prevent malware attacks. You should also warn your employees about using public Wi-Fi due to its lack of security. 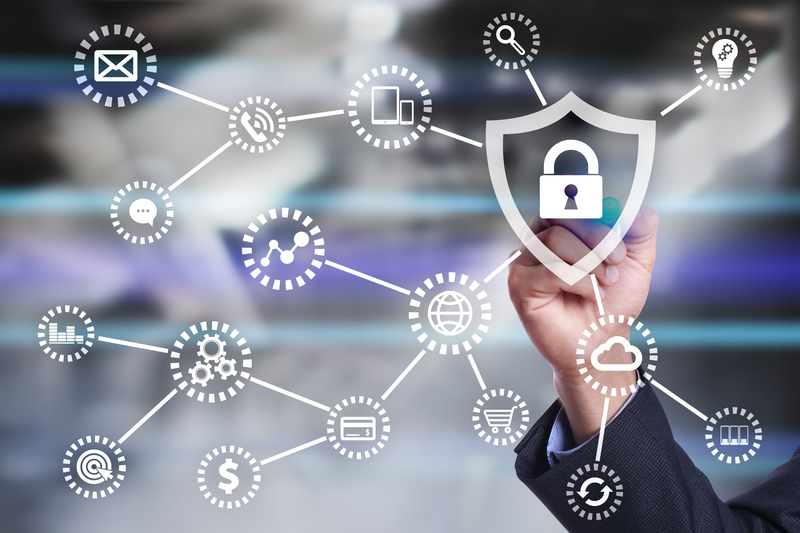 Businesses that perform frequent security assessments to check the flaws or weaknesses in their cyber security are more equipped for preventing and handling problems in the future. These measures will guarantee the safety of soft-copy company records, regardless of whether you are online or offline. Having the proper security measures and finding those problem areas will help you run your business more smoothly and prevent losses due to theft. A few investments can save you time and money in the long run.